Vincci Ching of Heritage ReFashioned at TVB 文化新領域 on January 28, 2017. Happy Year of the Rooster! Gung Hei Fat Choy! May this golden year of the Rooster bring you love, joy and happiness! 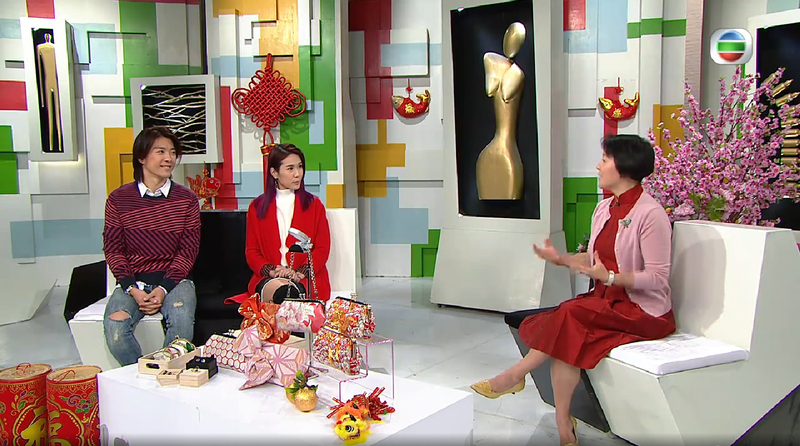 Many thanks to our friends and supporters for the lovely messages about our interview on TVB aired in the morning of the first day of Chinese New Year! If you are in Hong Kong, the clip is available as a re-run on myTVB (starting at 18:37). In the video interview, Vincci tells some of the stories and symbolism from her upcycled Chinese Wedding Dress clutches 裙褂手袋, vintage Japanese kimono clutches as well as her design philosophy in sustainable fashion. Some of the featured items are available for sale through our online shop or at these retail stores in Hong Kong. Thank you so much TVB for this amazing opportunity to showcase our work in front of millions of people!